Secure Your Cover To Your Vehicle. 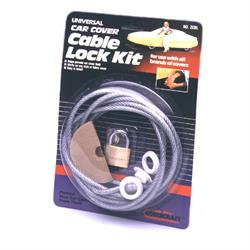 Steel coated cable threads through the reinforced grommets of your Covercraft cover and secures with a lockable brass padlock. Product may differ from photo.